Also within the NuLu area, Feast BBQ is a must stop for locals and tourists for a taste of your favorite comfort food dishes. Don’t be turned off if you see a long line forming outside as you arrive. Guests must order first before taking a seat on a first-come first-serve basis. My favorites for Feast BBQ were fried pickles and fried Mac & Cheese ball for appetizers. We couldn’t resist ordering a full rack BBQ ribs and some mexican style tacos for the main dish. Both great in taste and flavor, however, for an extra kick each table has three extra BBQ sauces to pick from. No stop is completed at Feast BBQ with bourbon slushies that come in 8 or 16 oz. glasses, but if you like to supersize it, order a pitcher! The Garage Bar might be one of my favorite places to go to while visiting the trendy NuLu (New Louisville) area. 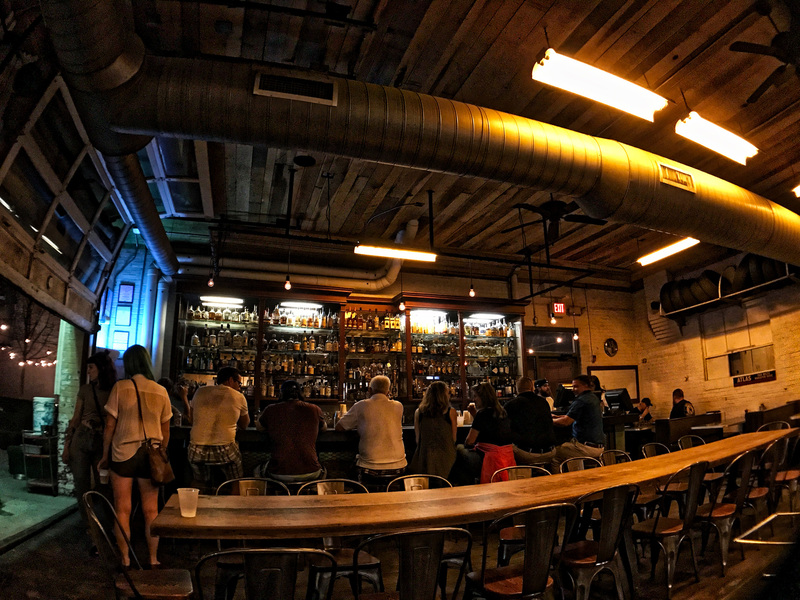 Originally an old auto service garage, this place does not disappoint for a night out around town. It is a magnet for the town’s hippest people, looking for casual night in a relaxed atmosphere. Outside, try your skills at one of the ping pong tables or just hang out in one of the many communal tables with friends. The menu has just enough comfort food to keep you going for hours—offering everything from brick oven pizza with a selection of many local ingredients like homemade pepperoni to small plates of local cheese. Also enjoy an eclectic list of craft beers, along with thirty different bourbon, rye whiskeys and the seasonally changing cocktail list. Annie Harlow and Leslie Wilson began this venture in 2013, and saved enough money to open their own food truck in 2014. The success of their food truck led them to their current storefront at 1011 E Main St—and one of our favorite stops while in Louisville. 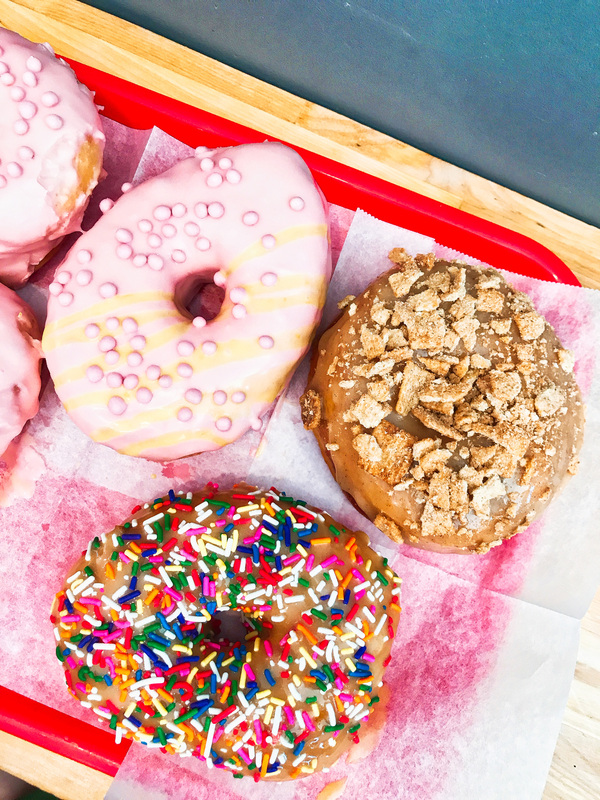 While visiting Hi-five, you can pick the doughnut du jour or make your own with several glazes and toppings that people can use to build their doughnut, which means that no two doughnuts are ever alike. We caught up with Leslie Wilson when we visited them to find out her favorite places to hang out in Louisville and more! Royals Hot Chicken serves the Louisville community hot and spicy southern fried chicken. Every guest can order their chicken as spicy as they would like, whether it’s classic fried with no heat or the spiciest available at gonzo. A plate of chicken tenders is served with one sauce to calm the heat level and people can choose from Kentucky honey mustard, Alabama white BBQ, Mississippi comeback, feast BBQ, green goodness, hot pepper jelly, and royals ranch. A perfect lunch or dinner at Royals would include a wedge salad with warm bacon dressing, a plate of two chicken tenders with medium heat and Kentucky honey mustard, a side of shells and beer cheese, and fried apple pie for dessert. Don’t leave without trying their vanilla or chocolate shakes with a added bourbon shooter.